Our BUDGET Bolt Hole Castors - A light duty pressed steel M10 bolt hole castors. 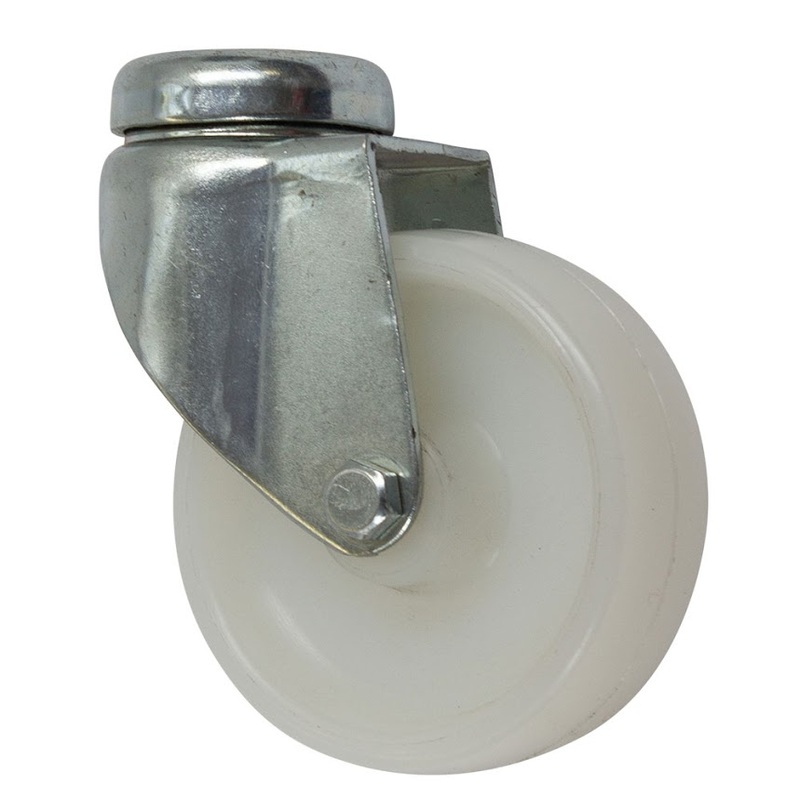 Available with a 75mm white nylon wheel that is durable, resistant and hard wearing. Can be supplied with or without brakes. For easy fitting into furniture or equipment choose one of our castor adapters for simple fitting into square tube legs or round tubular legs. As an alternative these hard wearing bolt hole white nylon castors can also be fitted with a spring fitting into tubular legs to create a secure step that springs up onto the castor when weight removed. Ideal to replace onto spring loaded steps and warehouse ladders.